Drugs and alcohol will never have a place in a healthy and happy lifestyle. As you may already know, it’s easy to fall victim to substance addiction. The tricky part is trying to break free from it. 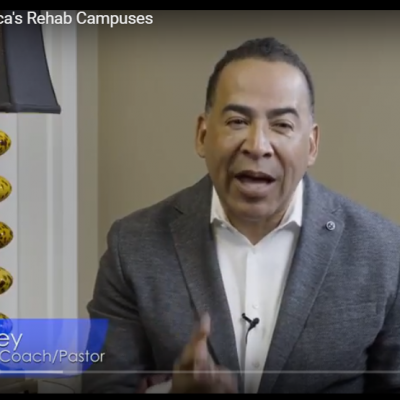 At America’s Rehab Campuses, we not only urge you to seek professional assistance at once, but we also offer you a simple and elegant solution: a top rehab program, delivering fast and long-lasting benefits. Our program of drug and alcohol rehab in Phoenix, AZ, comprises the latest clinical procedures for maximum efficiency and durable results. We only use accredited and rehabilitation methods, with decades of scientific research behind them. But what separates us from other rehabilitation institutions is the way we approach the treatment. The diagnosis process will allow us to create your clinical profile upon which we will base the entire treatment. Not all our patients react the same to alcohol, drugs, various prescription pills, or even medicine. To ensure that the treatment will deliver the effect we’re looking for, a thorough initial investigation is imperative. When joining our program of substance rehab in Phoenix, AZ, you should expect a detailed investigation regarding your situation. Our clinician will ask you a few questions, trying to determine your medical history, whether you have any allergies, details about your addiction, etc. The detox program relies on a personalized medication plan. This stage focuses on addressing co-occurring disorders, withdrawal symptoms, as well as any physical, mental or emotional manifestations. The detoxification treatment will usually last for as long as required and it includes drugs like Buprenorphine, Naltrexone, Disulfiram, and Acamprosate. Our specialists will also consider potential emotional traumas, whether related to childhood episodes or more recent. The purpose of psychotherapies is to work with the detox program for stabilizing your condition. Once we succeed in eliminating withdrawal, along with any side-effects linked to substance addiction, we’ll then proceed with building the aftercare strategy. Relapse remains a danger, so long as you lack professional assistance, even after completing the rehab program. Our program of drug and alcohol rehab in Phoenix, AZ, includes a well-constructed relapse prevention strategy, relying on education and developing social and coping skills. Come to our center, at America’s Rehab Campuses, and one of our experts will walk you through our policy and the specifics of our treatment! Always settle for nothing less than excellence!